Do you have a Star Wars fan in your life that you need a gift for this holiday season? No worries we’ve got you covered. Who’s that big, chin-tusked guy hanging out with a First Order spy in Maz’s castle? Who are the red-helmeted enforcers in the Guavian Death Squad? What’s the story behind Kylo Ren’s mask? 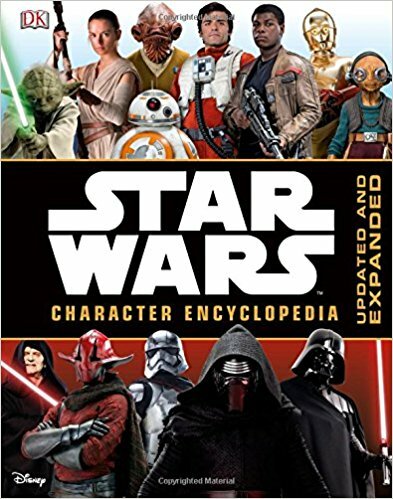 There’s a way to get all the intel you need on the new heroes, villains, creatures, and droids and that’s with this Encylopedia. Any die-hard fan knows there have been dozens of these throughout the years, but this is probably one of the most up to date ones yet, and it’s sure to be an excellent addition to any collectors arsenal of paraphernalia. 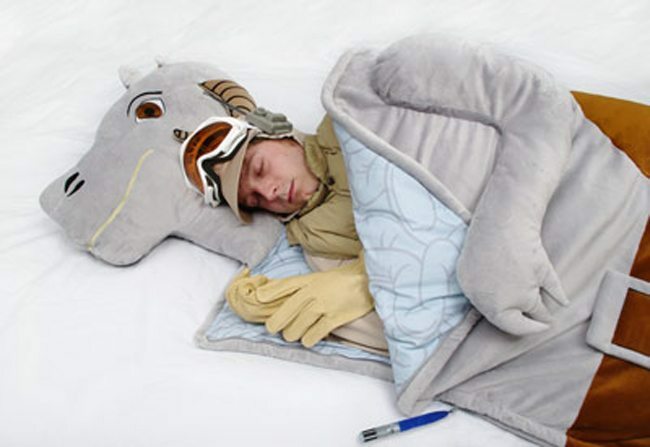 Next time you are on Hoth be sure to take this sleeping bag with you to protect you from the snowy tundra. With that said this might be one of the more ridiculous gifts one could get or receive, but it’s also one of the more obscure and fun items one could get. As we wait for The Last Jedi, we might as well catch up on The Force Awakens. 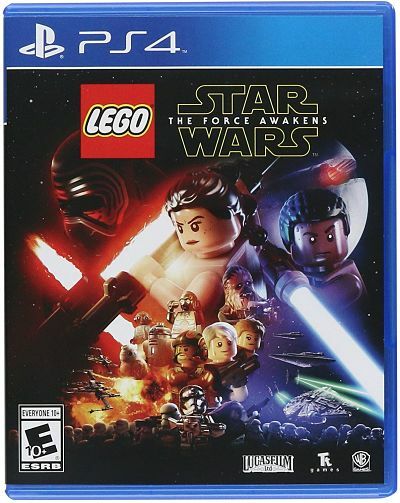 PS4 has an array of Star Wars games for the person who wants to immerse themselves in Star Wars fully. 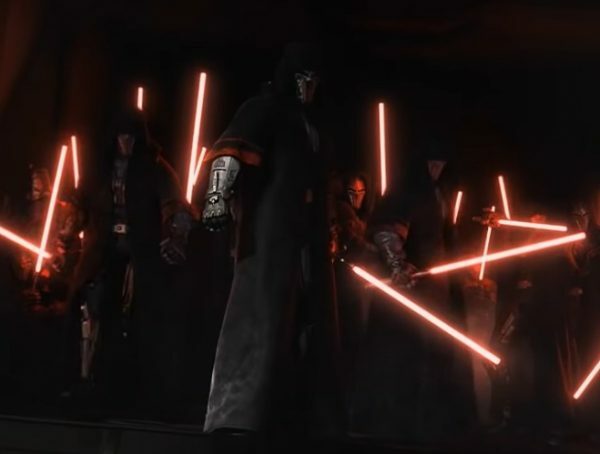 Also, we would recommend the new Battlefront, but right now EA didn’t have the best time releasing the newest one, and we’re still a bit bummed, but it’s okay we’ll deal. Who doesn’t love waffles? 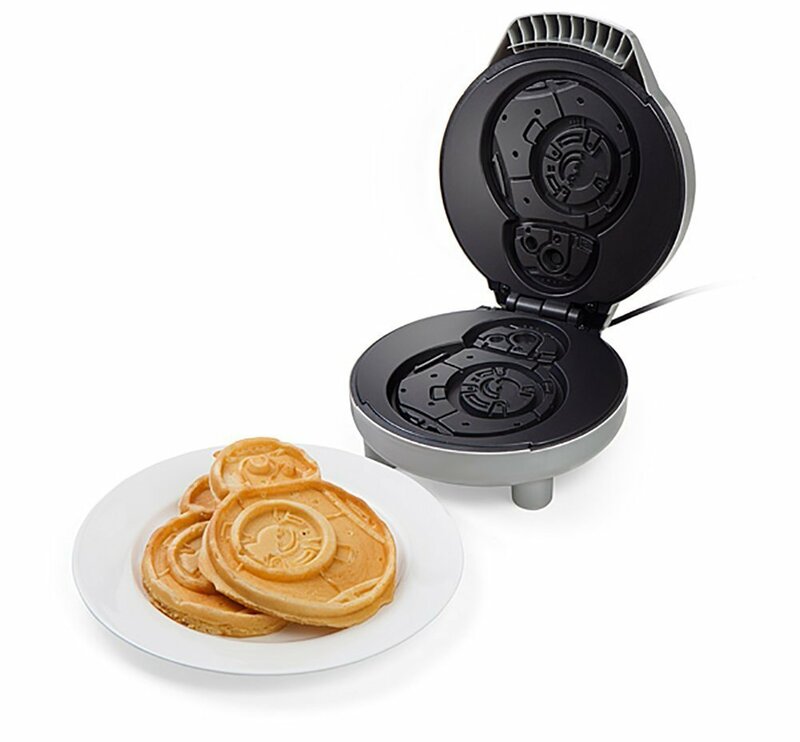 This is one gift that’s sure to please even the non-Star Wars fans mainly because who doesn’t like food? And if they don’t want Waffles they have issues, but regardless making BB-8 Waffles is probably the best way to spend Christmas Day. 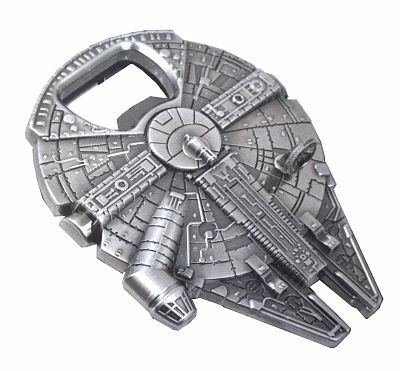 Tis, the season of drinking so, why not gift this excellent Star Wars Millenium Falcon bottle opener to make the festivities extra cheerful? The plus side is that it also makes for a great stocking stuffer. This is the droid you are looking for or maybe this one is or this one. 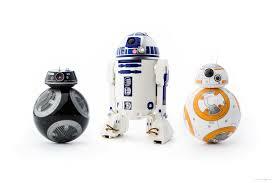 No matter what you decide to spend money on you can never go wrong with one of these fun droid toys. 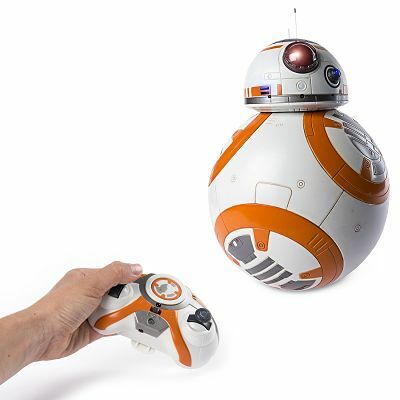 We’re personally fans of the Sphero ones, but follow the force and choose your favourite. 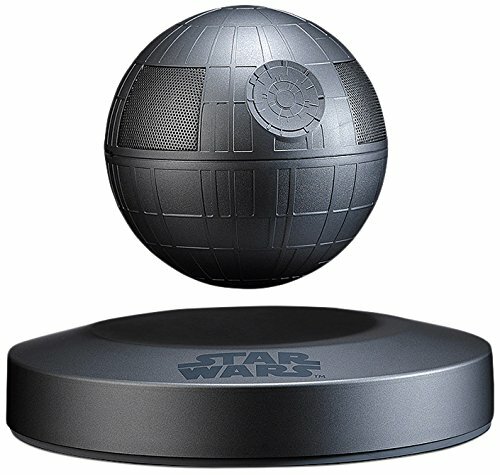 It levitates! If you have a Star Wars fan in your life that loves music, this is a great little speaker that will not only add to their vast collection, but it’s also functional for everyday use. Honestly, we saw these on Etsy and thought they looked sick. 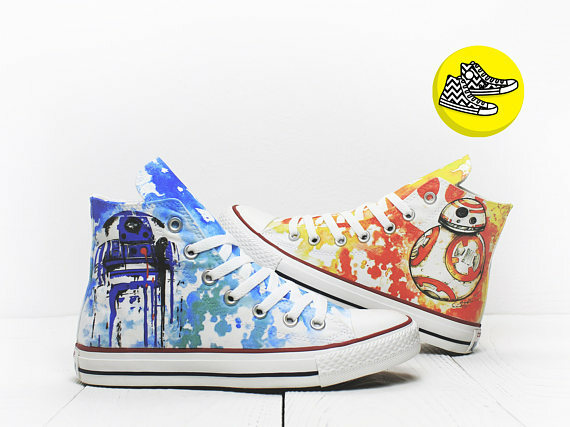 One: props to the person who designed these and two: they feature two of our all-time favourite droids so why not buy these and have a pair of sweet of kicks to show off this holiday season. 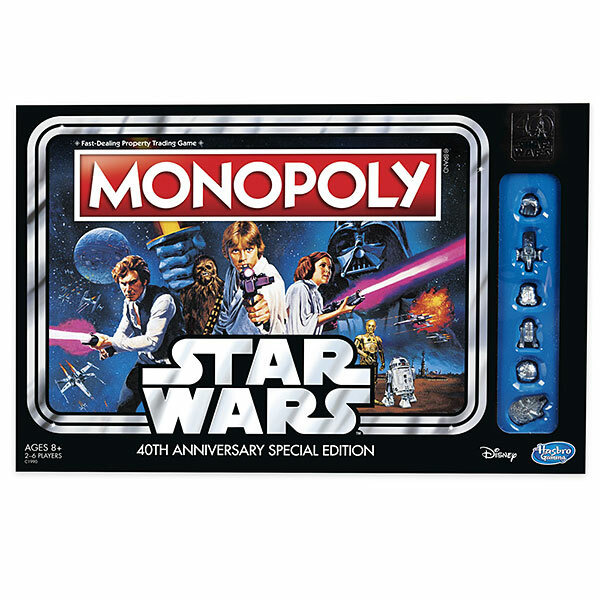 Though still containing Monopoly’s usual four iconic corner spaces – Go, Jail, Free Parking, and Go to Jail – the rest of the areas all reflect the scenes, ships, and storylines from Episode IV. But instead of buying Park Place and Boardwalk, players will be avoiding Stormtroopers, utilizing escape pods, smuggling cargo, and preparing for battle. This is one gift we definitely wouldn’t mind having under the tree this year. 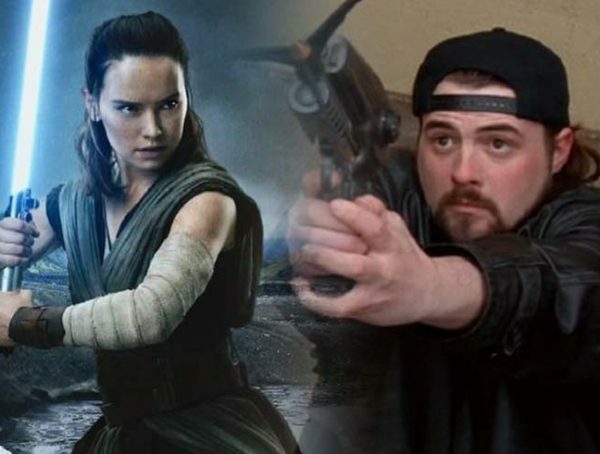 In Star Wars: The Last Jedi. 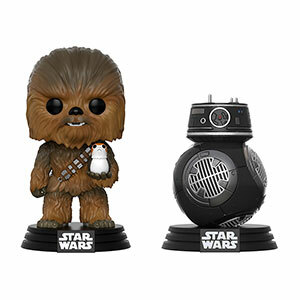 Choose between BB-8, BB-9E, Chewbacca w/ Porg, Kylo Ren, Luke, a Porg, a Praetorian Guard, Rey, and Snoke all with these awesome Funko Pop figures which have proven to be quite the collectibles over the years. 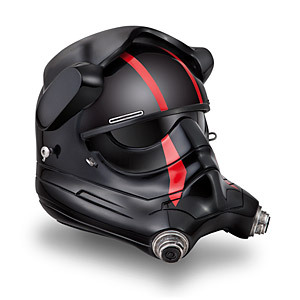 Not for the faint of heart or wallet, this is one of the more expensive items on our list, but if you happen to know a Star Wars fan that has everything and you have the money to spend then the Tie Pilot helmet is the way to go. This is one we recommend picking up before Christmas and wearing it to the premiere because one it’s festive and two how could you not want to? 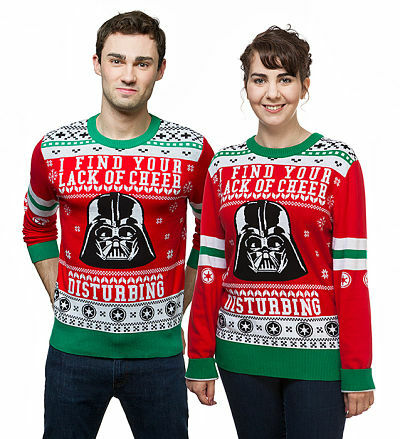 If the dark side isn’t your thing, they also have a fantastic Yoda Sweater that your significant other is sure to love. We hope you enjoyed our list of obscure Star Wars Gifts this year. 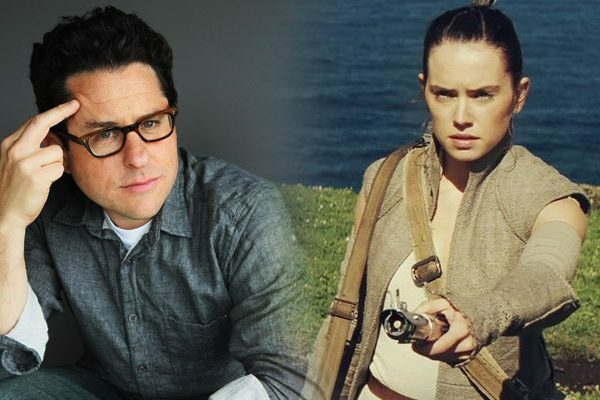 If you have any other ideas on gifts for Star Wars fans leave them in the comments below and be sure to check out Star Wars: The Last Jedi hitting theatres December 15th.